I think its secret is in those tiny bubbles. The refreshing effervescence captured in Champagne makes it unlike any other spirit; it truly is a sparkling wine of great distinction. 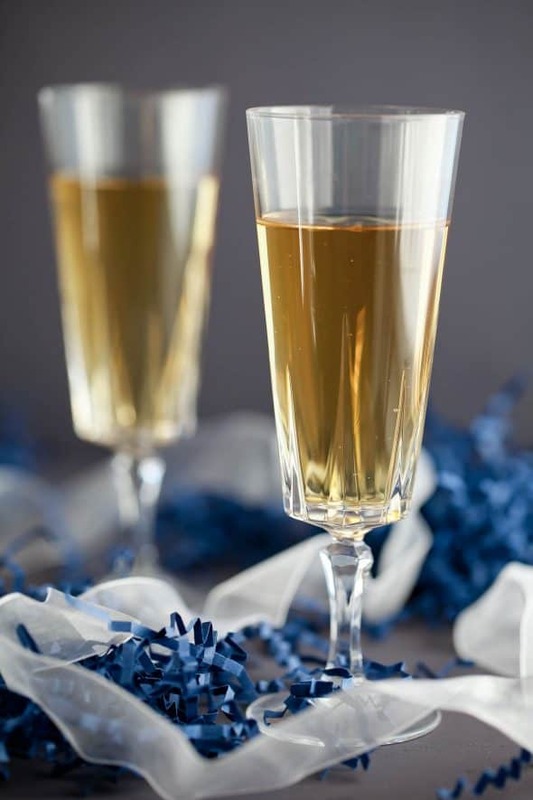 A glass of good bubbly excites the taste buds and refreshes the palate. c? Yes, popcorn with Champagne. As strange as it may sound, the two make a great pair. Not two things you would think to put together but they suit each other quite well. The acidity and cleansing action of the bubbles which in the words of wine expert Andrea Immer are “scrubbing bubbles for your palate” works to balance the saltiness and buttery richness of the popcorn. But I’m not talking about bagged microwave popcorn. 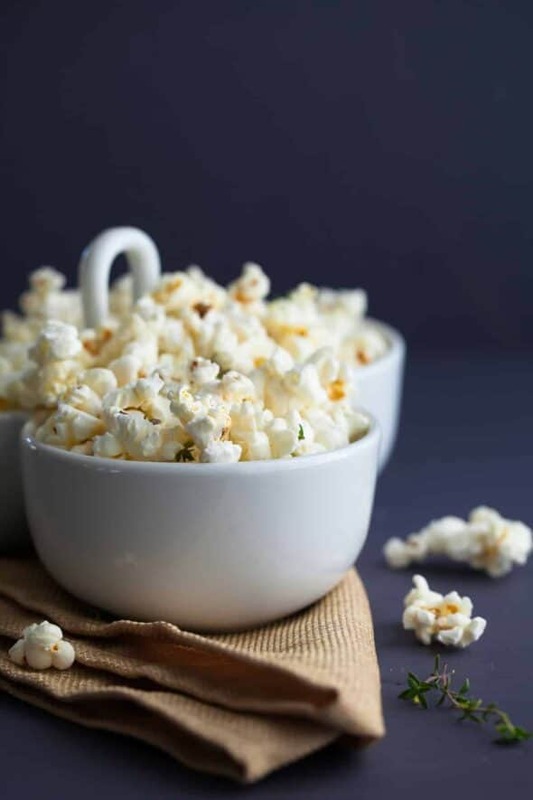 In fact, microwave popcorn has taken a quite a beating since the associated health dangers came to light that consumers were being exposed to toxic microwave popcorn fumes. 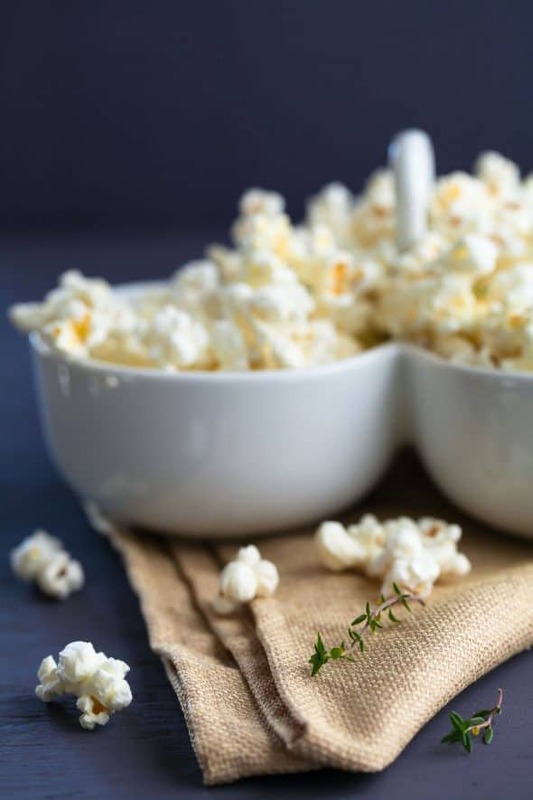 The steam released from microwave popcorn bags contains nearly four dozen chemicals according to a report from the U.S. Environmental Protection Agency, not to mention the chemicals lining the bags which are then ingested. While it’s unclear how many of the chemicals may be harmful at the levels emitted, I’d prefer to pass on the microwave in a bag popcorn variety and make my own. And it doesn’t take long at all to pop your own. Swathed in melted truffle butter, gently sprinkled with salt and generously with Parmesan and fresh thyme, it’s a welcome departure from the bagged stuff. The creaminess of the butter and the intensity of black truffles combines with a handful of good Parmesan cheese and the woodsy aroma of thyme to create a truly unique and indulgent snack that deserves a place in everyone’s home. Truffle butter is one of those ingredients that will simply change the way you cook. You’ll find yourself eagerly plopping a good pat of it on top of braised, steamed or sautéed vegetables. The unctuous butter makes the most wonderful mashed potatoes and omelets. 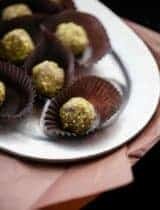 It has a distinctive rich, earthy, nutty flavor which complements a wide range of foods, but it really shines as a simple popcorn topping. So to celebrate this year, whip up a batch of popcorn and then break out the Champagne! Cheers. Melt truffle butter in a small sauce pan with the fresh thyme leaves. Set aside. Heat oil over medium heat with 2 or 3 popcorn kernels. When the kernels start to pop, remove from heat. Add the remaining popcorn kernels and cover. Place back over heat and cook, covered, leaving the lid slightly ajar (this is so water vapor can escape) while occasionally shaking the pot, until popping slows. Continue shaking until most kernels have popped and you can’t hear them moving against the bottom of the pot which should take about 3 to 5 minutes. Remove from heat and drizzle with the thyme truffle butter, grated Parmesan cheese and sea salt. Put the lid back on and shake, shake, shake to mix the popcorn and get it thoroughly coated. If you’d like you can also make pop your popcorn in the microwave using your own bag and none of the chemicals. Toss the popcorn in a clean paper bag. Fold the top of the bag over twice to close. Place the bag in the microwave and microwave on high for 2 minutes to 3 minutes, or until there are about 5 seconds between pops. 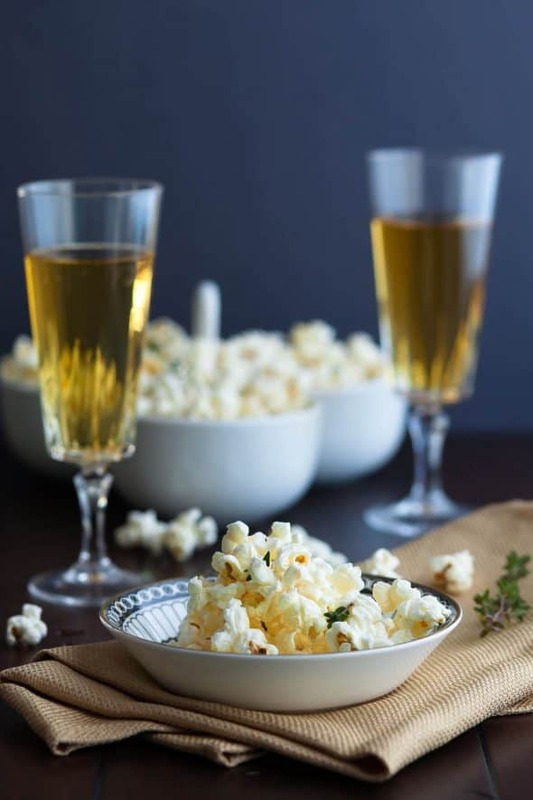 Sounds like fun to herald in the New Year with bubbly cheer and flavorful popcorns! I'm all for making fresh popcorn from the scratch than buying those microwave packets. Wish you and yours a happy, peaceful and prosperous New Year Sylvie! It's been so long since I made popcorn. 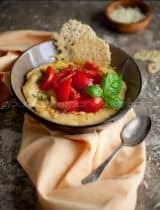 Love the sophistication of this recipe! what a fun pairing! i don't always love popcorn, but this version sounds irresistible! Oh Sylvie this has my mouth watering for popcorn at 7am!! Happy New Year girly!! What an exquisite popcorn! Fabulous flavors...I'd be happy to eat this for dinner. And such beautiful photos, Sylvie!!! Beautiful, Sylvie! Happy New Year! That popcorn sounds divine. I love popcorn. 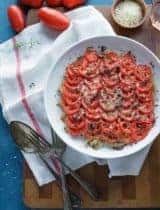 My grandmother used to pop bags of it on the stovetop and then add all sorts of flavors! This is such a great idea! I've recently rediscovered popcorn (through caramel corn), and this is such an elegant way to dress it up. Microwave popcorn is scary isn't it! Thanks for sharing that information. Who could resist your Truffle Butter, Parmesan and Thyme Popcorn! Yum! I just happen to have a container of truffle butter in my fridge at this very moment and I've now decided what to do with it! I've been really getting into flavoring my own popcorn lately too...and I just tried truffle butter and parmesan too. I think the thyme is a great addition - it adds a very nice pop of color + flavor. Gorgeous! And Happy New Year to you! I must have been living under a rock as I had no clue about the risks associated with microwave popcorn. Back in Tanznia where we never had microwaves (!) my Mum used ot make the popcorns just ike your instructions. We've been on a popcorn kick around here. This is perfect for a party. Love. I could just sit at home and have this new years eve night and call it a fabulous time! Love the flavoring to the popcorn- magical! I was just checking out air popcorn poppers last weekend. This may just push me to head back to grab one. Totally drooling thinking about the combo! I've never paired popcorn with champagne, but now I'm kind of smacking myself on the forehead - duh, but of course! Makes total, mouthwatering sense. Happy New Year, Sylvie! I had NO idea about microwave popcorn!!! I grew up in a house where my dad popped popcorn on the stove almost EVERY night after dinner. No truffle butter or parmesan, though. I think that's a must try...WITH the champagne, of course. I adore popcorn and embellish it with many different things. I can't wait to give yours a taste! *CHEERS* to you Sylvie & a fantabulous 2012! Complete genius! Love your photos as always. Happy New Year (early) and may you have a wondrous 2012. My eyes are wide and my jaw is dropped. What a light and airy pairing, indeed! Perfect for celebrating! Happy NY! Wow, what an easy and sophisticated way of eating popcorn. A must try!!! I was not much of a popcorn person until I ate caramel popcorn. And then Indian spiced popcorn. And now its time to try this. I don't own a microwave, it never sounded like a safe thing to me! Sylvie! I LOVE this! LOVE!!!! I made thyme cookies today, and I was surprised at the flavor. And loving that you can pop your own popcorn in a bag! I never knew!!! Happy New Year. Interesting what you say about the microwave popcorn - I always thought it was not that good, but didn't realise it was quite that bad. I'll pop my own from now on. Cheers. What an amazing flavor combination! I am not a huge popcorn fan, but this sounds very enticing. Lovely flavours! Happy New Year to you! I could munch on this all night long! Sylvie, We make something similar as a late-night snack. SO ADDICTIVE! We are like minded. I was thinking in bed this morning, a fancy popcorn for New Year's Eve. You've done it; now I don't have to. Happy New Year and cheers to a bright 2012. I'm sitting here eaing microwave popcorn and thinking...WHY can't it be truffle butter, parmesan and thyme popcorn? Fantastic combo! Absolutely gorgeous! A local restaurant serves Truffle Butter Popcorn as an appetizer, but yours looks and sounds much better! I can't wait to give this one a try! Happy New Year to you, Sylvie! Love this Sylvie! Happy New Year!!! I think this is genius and so beautiful! I love the idea of pairing something so upscale with a humble (and mighty delicious!) ingredient like popcorn, with some extra special touches. Absolutely lovely. Love gourmet popcorn and bubbly. Good call. Lovely shots as always Sylvie. Happy New Year. Now that's some extra special popcorn - wow! Beautiful! Happy New Year to you, Sylvie - thanks for your constant inspiration. Always beautiful pictures! Looks and sounds so wonderful! I must buy a bottle of truffle oil. Wishing you a happy New Year! Well, if it's a truffle butter popcorn it certainly goes with champagne :-). Happy 2012, Sylvie! I didn't have popcorn for ages...It's always a hit ! Je te souhaite un excellent réveillon de la St Sylvestre ! This sounds really good, I cannot drink, but the popcorn would still be great on it's own. Champagne, truffle butter and...popcorn? I love it. What a fun way to ring in the New Year. So happy that I found your blog. Sylvie- I think that this is so incredible! great flavors for a New Years snack! All we have to say is, "WOW." Happy holidays! What a lovely and creative pairing. A perfect way to welcome the New Year! Perfect, popping of champagne and corn! 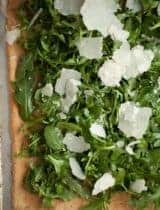 I love the Parmesan and thyme flavour I will certainly try this one. Happy New Year! 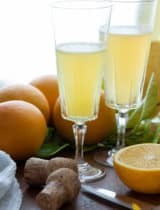 love all these ingredients, including the champagne! I HAVE to try this! Omg this sounds delicious - truffle butter? Who can pass on tha?! 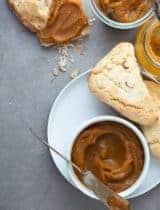 this is simply amazing, quick and delicious! Just gorgeous, now I must have truffle butter! Have a Happy New Year! This popcorn looks heavenly!!! Have a wonderful 2012 Sylvie! Just discovered your page. I used to make lemon olive oil popcorn and it was a hit. these sounds even better. A lemon olive oil combination sounds fantastic, I'll have to try that. I have no idea where to find truffle butter, will truffle oil suffice? I see that on the shelves. Can't wait to make this! Absolutely, truffle oil will be fantastic here as well. I find my truffle butter near the cheese at Whole Foods. Now this is the perfect way to celebrate the new year & every day. This popcorn sounds amazing! Happy new year! That popcorn made me drool. I love popcorn and truffle butter? Oh geez! You rocked my world. :) Great post Sylvie!! 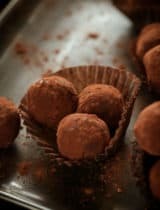 I need to scour for some truffle and I would be set to make this recipe -- looks so delish!! 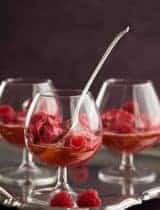 I know you posted this two months ago Sylvie, but I just wanted to stop in and say what a lovely and creative flavor pairing this is with popcorn! Your photography is just stunning, as well. Hope you've had a nice start to 2012! Wow. Nice post. I'm going to save this recipe for a special occasion, but when I do, watch out! Its going be good! Can't wait. You just made me very popcorn hungry.... Little bubbles n popcorns.... Life is good!! Oh goodness, who knew popcorn would be so loverly!? I bought a bowl at Target made to pop, popcorn. I don't use any oil at all. You put the kernels in the bowl, start microwave. I have a "popcorn" setting on my microwave I use. Don't walk away, they burn fast! This bowl is super nondescript in their home goods section..